For several years now, Ukrainian products have demonstrated their high quality and profitability. At the moment, domestic corn and wheat have a number of advantages over the main competitors in the European market, namely Russia and Belarus. The distinctive features of Ukrainian seeds are their high frost-resistance and excellent productivity, i.e. the ability to produce a unit of production per unit of planting material. However, according to Valeria Khadzhimatova, Ukraine has to start conquering the foreign market from scratch. The demand for Ukrainian seeds is going to rise up in the coming years. After all, the value of our products lies in the ability to grow crops even under difficult weather conditions while having a good harvest. Moreover, processed raw materials become a healthy and delicious vegetable oil, so that even the world leading oil producers cannot compete with it. The industry may face the problems in seed production, but not in genetics. The production system, according to Valeria Khadzhimatova, has to be modernized or fully reformed. It often happens that crops suffer from a low level of compliance with the production process which results in damaging the seeds and leads to having poor harvests or poor quality of raw materials. Unfortunately, among thousands of domestic sunflower seeds producers, there are those who offer counterfeit consumer goods, that is why the reputation of the Ukrainian products gets ruined. 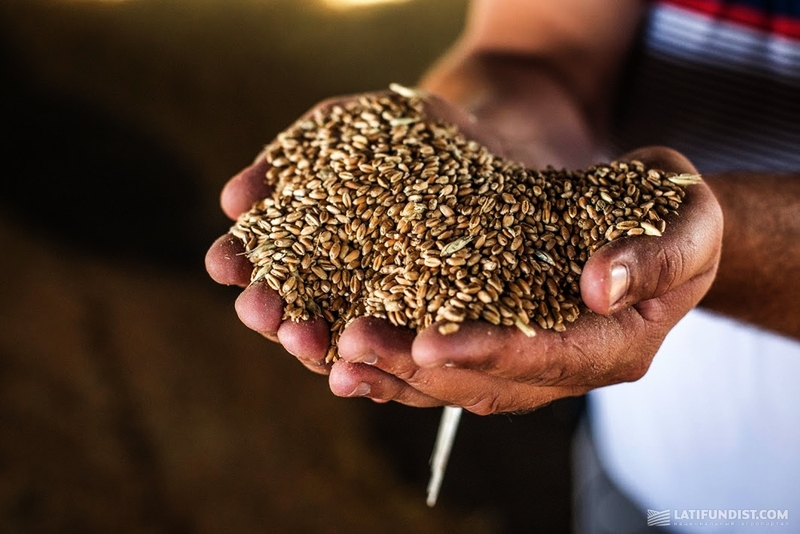 The representative of the Trading House “Ukragroprom”, Vladimir Pakhota advises farmers not to save on planting materials and to check the available samples for damage. The Law of Ukraine “On Seed and Planting material”, which is getting ready to be adopted by the Cabinet of Ministers, should significantly improve the situation in the market. The document has been drafted according to European and international norms and regulations. The reputation of Ukraine will improve if the product control is executed more carefully.